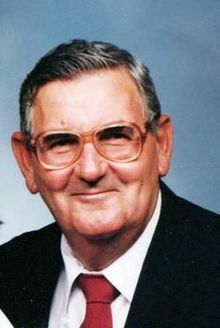 Richard L. Wooten, 77, of Asheville passed away on Tuesday, May 5, 2009 at Mission Hospital. He was a son of the late Sadie and George Wooten. He was also preceded in death by two brothers and two sisters. Mr. Wooten was a member of Beaverdam Baptist Church and retired as Captain of the Asheville Fire Dept. after 30 years of faithful service. He was known throughout the dept. for his wonderful cooking skills. He was an avid sportsman and golfer belonging to several golf clubs. He continued his passion for golf by selling equipment at Dreamland and Smiley's flea markets. Survivors include his loving wife of 58 years, Ora Mae Bond Wooten of the home, children, Teresa Ingle and husband Ronnie, Beverly Wooten, Patricia Martinez and husband Sergio and his one and only special grandson, Richard Moore all of Asheville, sister, Betty Ballard of Raleigh, brother, Bill Wooten of Asheville, sister-in-law, Mary Vehorn and several nieces and nephews. Funeral Services will be held on Friday 11AM in the Chapel of Faith at Forest Lawn with the Rev. Ron Brown of Enka Baptist Church officiating. Burial will follow in the park. The family will receive friends on Thursday in the Chapel from 6-8PM. To sign Mr. Wooten's online register book visit www.moorefh.net.